The best part about Health Star Rating? We have not had to make any changes to our recipes to achieve high ratings – which means you can continue to enjoy the same delicious taste of your favourite Monster muesli flavour. 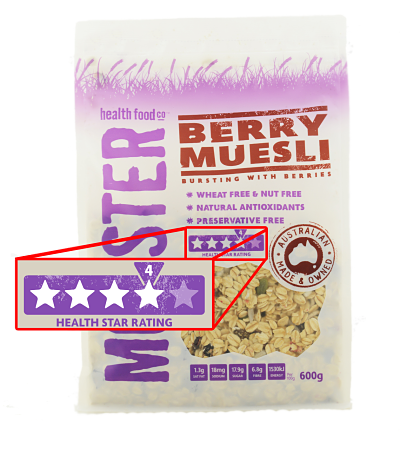 While there is a two year voluntary period for companies to include it on their packaging, our Berry and Free & Lo Muesli already carry the Health Star Rating with pride. The remaining products will feature the new labelling over the next 12 months.